In a momentous victory for the biomass industry, Congress this week voted to recognize the carbon benefits of energy from biomass. The language, part of a larger government funding deal, was originally included in last year's energy bill that cleared the Senate and narrowly missed passage by the House. PFI, under the leadership of its government affairs consultant Pat Rita, was instrumental in advocating for biomass carbon neutrality recognition alongside other biomass advocacy groups. The biomass industry has been waiting many years for the acknowledgement by the federal government of biomass as a renewable energy source that reduces atmospheric carbon. To date, the Environmental Protection Agency has not been able to finalize a biogenic carbon framework after the agency convened the Scientific Advisory Board panel nearly seven years ago. In the absence of broader national policy to promote renewable energy or carbon reduction, this declaration is not likely to have an immediate impact on the industry - but the public recognition of the carbon benefits of biomass is an important step. The biomass carbon neutrality language calls on the Secretary of Agriculture, the Secretary of Energy and the EPA Administrator to work together to "establish clear and simple policies for the use of forest biomass as an energy solution including policies that reflect the carbon-neutrality of forest bioenergy and recognize biomass as a renewable energy source." PFI will continue to take part in that process. Senator Ron Wyden (D-OR), ranking member of the Senate Finance Committee, reintroduced legislation yesterday that embodies his "technology neutral" tax incentive approach to incentivizing renewable energy. Previous iterations of this proposal completely omitted thermal energy, despite the fact that thermal represents a third of our nation's energy portfolio. The proposal introduced yesterday, titled the Clean Energy for America Act, maintains its dual platforms of focusing on electricity and transportation fuels, but we did make progress. After numerous meetings with his Finance Committee team, the updated version of the bill does recognize thermal energy generated as part of a combined heat and power (CHP) system. Language in the bill regarding conversion of BTUs to kilowatt hours is a direct result of our meetings. We view this as a step in the right direction. The bill does not incentivize straight thermal systems, as committee staff had difficulty with issues around measuring thermal output in strict thermal only systems. We will continue to work with the Wyden team on this issue. The bill is a messaging proposal at this point, as only Democrats are cosponsors. However, as we move into serious discussions about reforming the tax code, energy tax incentives will be a piece of that discussion and there is bipartisan support for refining incentives so that they do not pick winners and losers. That is a concept PFI supports and, again, we will be actively involved in the process and dialogue on this critical issue on Capitol Hill. This week, the U.S. Energy Information Administration released its latest Monthly Densified Biomass Fuel Report for the month of January 2017. After a strong end to 2016, with domestic pellet sales well over 200,000 tons for each of the months of October, November and December, January 2017 sales dipped slightly to 180,000. Production was up from 117,000 tons of domestic heating pellets in December to 137,000 tons in January. Employment held steady at just over 2,000 employees nationwide at facilities that qualify for the EIA study. To view the latest densified pellet fuels data, please visit the EIA website. Register for the 2017 PFI Annual Conference in Stowe, Vermont! We are pleased to announce that registration is open for the 2017 PFI Annual Conference! We hope you will join us in Stowe, Vermont, to network with friends and peers from the pellet fuels industry and learn about all the current market trends. Don't forget to book your hotel room with the Stowe Mountain Lodge! 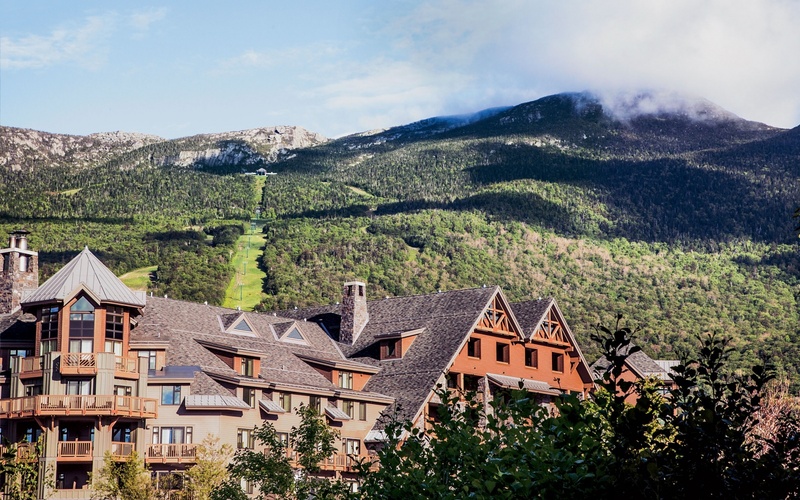 PFI has negotiated a conference rate with The Stowe Mountain Lodge for $259.00 (single/double). Contact the hotel directly to make your reservation at 888-478-6938 or online. A week after President Donald Trump vowed to impose new tariffs on Canadian lumber imports to help the U.S. timber industry, lawmakers passed a spending bill that could push U.S. government agencies to promote burning wood pellets to fuel power plants. The budget bill that the U.S. House of Representatives passed on Wednesday, which makes way for nearly $1.2 trillion in federal spending, directs the Environmental Protection Agency, the Department of Energy and the Department of Agriculture to "establish clear policies that reflect the carbon neutrality of biomass." There's a manufacturing plant in Boothbay that has been something of a secret for the last year or two. The Boothbay Register ran a story about it a year ago January, but the business has been put on hold while the owner, Erik Carlson, with help from his father, Al, have been working to make their product, wood pellets, as high quality as they possible could. Carlson, the owner of C and L Forestry and a licensed professional forester and arborist for over 20 years, decided to start producing pellets, for heating, around two years ago. After researching wood pellet manufacturing equipment, Carlson found that the machinery he needed would have to come from China if it was to be cost-effective. He went to the Chinese manufacturing facility in February 2016. In June, three trailer trucks full of wood pellet manufacturing equipment arrived at his plant in the Industrial Park. Carlson explained the process of turning wood into pellets. It's not as simple as people might think. "Basically you break everything down, and then press it back together." The pellets start as logs, then go into a machine that spins the logs, knocking the bark off. The bark is ground up, for mulch, and the bare logs are then transported to a conveyor belt that sends them into a chipper. The chipped wood is fed into a grinder, making smaller, more uniform pieces. "When the pieces are similar in size they dry much more consistently," Carlson said. Asian countries are showing a strong interest in consuming more wood pellets in order to replace coal in their power grids and to shift away from nuclear power, according to an industry expert speaking at the Argus Biomass 2017 conference. Giving a presentation entitled 'A statistical review of the consumption of biomass for heat and power generation', Rachael Levinson, editor of biomass at Argus, said: "Asia has the potential to overtake Europe in the next few years." This fact has led Canadian and US wood pellet producers to show an interest in exporting their wood pellets to Asian countries like Japan. Currently, the UK is the world's biggest net importer of wood pellets. It used around 7.2 million tonnes last year. This is mainly driven by Drax's coal-to-biomass plant conversion. Delegates also learnt that Denmark, Belgium, Italy and South Korea were also big net importers of wood pellets.